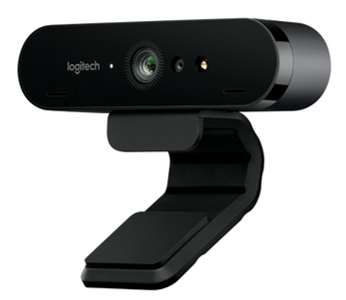 Logitech BRIO Skype for Business Bundle - Perfect for you Skype Huddle Room! Logitech BRIO was designed specifically for small spaces like a huddle room. It has a wide angle point of view and the ability zoom and autofocus. 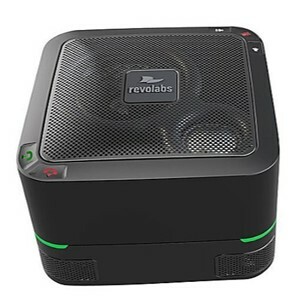 Add the perfect sized speakerphone from Revolabs, the FLX 500 - and it creates the perfect solution for huddle rooms, whether enclosed or in an open space. This is a great huddle room bundle. Tested by us and ready to go. VCG only believes in selling equipment we have personally tested so you get the best possible solution for the price. 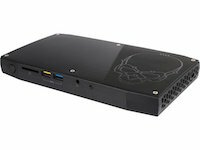 The Intel Skull Canyon NUC has become our go to device for conference rooms. All our NUC’s come bundled with 16GB RAM, 120 SSD, Windows 10 Pro to get you up and running fast. In addition the NUC can handle up to 3 monitors although we recommend tow. Solid state all the way through and 1 inch thickness to easily hide behind a monitor with the included mount. Trust that you are buying a high quality device that will give you years of service from VCG. Over time numerous video conference software companies have bulked up their software or require heavier processing power, going with a i7 Quad Core and 16GB of RAM has made the updates run smoothly every time. Skype for Business require numerous components and can create confusion. We believe you should get high quality components that have been tested and give you the best experience for your dollar. VideoConferenceGear.com tests everything before we recommend it or sell it online. We've made it easy to order Skype for Business kits. No longer do you have to go through multiple suppliers to get your Skype for Business solution. Below is the list of equipment we provide in this kit. Quad Core Power house @ 2.6 GHz.